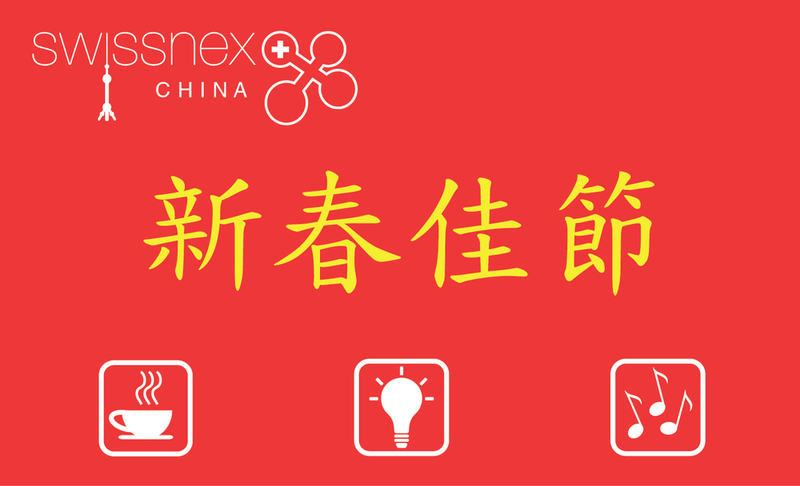 On 1st February 2013, we are organizing our own Chinese New Year in swissnex China office! In the afternoon, from 1pm, we will receive several guests which have all in common to be innovators in their domain: In art, technology and even hospitality. Our office will be open to anybody who would like to hear more about one or all of our guests’ projects. Tea, coffee and snacks will be offered! Luca Forcucci is a binational Swiss and Italian artist and researcher. His work observes the perceptive properties/relations of sound and space (and vice versa) through sound installations, visuals, compositions and performances. In order to explore the field of possibilities for sound in a context of music and art as experience, the artworks converge with dance, digital performance, poetry, architecture and neuroscience. In this context, he is interested by perception and consciousness. He is also a PhD researcher in UK under a European Erasmus exchange program with the University of the Arts of Berlin. During his doctoral studies, he collaborates with GRM / INA (Groupe de Recherches Musicales / Institut National d’Audiovisuel) in Paris and the Brain Mind Institute in Switzerland. Teo Borschberg is Swiss and Co-Founder of Good Toilet. He has graduated from Ecole Hotelière de Lausanne in Switzerland and is working in Shanghai since January 2012 . Pierre Rousseaux is Belgian and Co-Founder of Good Toilet. Before Good Toilet, he also founded Fybo Group in 2008. He has graduated from Suez-Tractebel in Belgium and is in Shanghai since 2007. Good Toilet aims to build clean public restrooms for China, based on an existing and successful German concept called Sanifair. The concept works with a clever voucher system allowing guests to redeem the toilet entry fee with a discount on their next purchase at surrounding partner shops. In other words, if the guests get into the voucher system, they can access very clean/hygienic public restrooms in crowded area for free. Aaajiao (Xu Wenkai) is one of China's foremost digital artists, bloggers and free culture developers. Born in 1984 in Xi'an City, he now resides in Shanghai. In 2003 he established the sound art website: cornersound.com, and in 2006 he founded the Chinese take on the blog we-make-money-not-art: We Need Money Not Art. He is devoted to Processing, an open source visual programming software and Dorkbot, a non-profit initiative for creative minds. He is also the Co-Founder of Xindawei. Xindanwei, which literally means “New Work Unit,” mingles, catalyzes and supports startups and innovators in China and around the world. Xindanwei create community workspaces, facilitate creativity, sharing, and collaboration, and co-develop new models and methods with world-changing potential. Bob Zheng is the founder and CEO of People Squared, a Shanghai based co-working space that provides well-equipped work environment for freelancers, self-employed professionals and startup teams to work together and build social connections. Prior to founding People Squared two years ago, Bob co-founded liuxueok.com, a social platform that connected Chinese high school students with western universities, so that students could get study-abroad consultations from schools directly. Being an entrepreneur for 4 years, Bob is very knowledgeable about the startup environment in China and has built good connections with many local startup communities, Internet/mobile Internet media and tech blogs, investment funds and agencies providing services to early-stage startups (such as law firms and government bureaus). 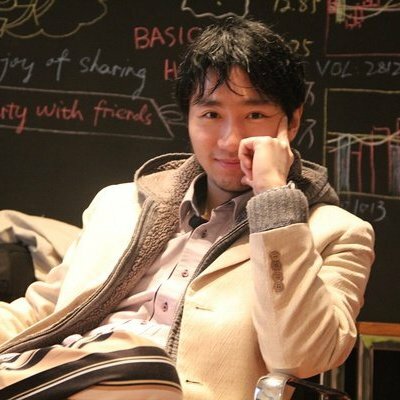 He is also the curator for Shanghai Startupdigest, mentor at Startup Weekend. Art Yan was born in 1981 in Shanghai. After graduated from East China University of Science & Technology with a Master Degree of Art Design in 2006, he started to work for the Museum of Contemporary Art Shanghai as Assistant of Chief Educator. Since 2007, Art Yan has worked for Shanghai eARTS Festival as project manager and in-house curator. Now Art Yan works and lives in Shanghai as independent curator, his main study is in new media art and design research. He is the Co-Founder of Rye.co which is an independent institute of Media Arts and Design Research, founded by Li Zhenhua and Yan Xiao Dong in 2010 in Shanghai. Its dynamic research based curatorial/consulting/project management work mainly focus on media arts, radiate to design, architecture (related industry), and experimental performance, sound art and etc. In the evening, we will celebrate the Chinese New Year by receiving different artists: From contemporary Chinese dancer, tea experts to a music show in the second part of the evening.Last but not least, to celebrate the year of the snake a great cocktail reception with a special Swiss touch will be offered to all of you! The evening celebration will start at 7pm with the cocktail reception and the first performance! Then you can enjoy meeting new people or old friends around a class of wine and be amazed by the different shows. The celebration will stop at 10pm. The dancer, Liu Yanan is an independent dancer/choreographer from Shanghai, China. She studied Chinese classical and folk dance when she was young. From 2005, she met with artists from different backgrounds. Their collective called "Zuhe Niao" won the ZKB Award of Zurcher Theater Spektakel in 2006. Later on, she works more freely with different artists and companies like "brand nu Dance"(Shanghai), "Tanzcompagnie Rubato"(Berlin), "Schweigman &"(Amsterdam), Kenzo Kusuda (Amsterdam), "Overseas Project"(Zurich), etc. In 2011, she established BM (body & music) Space, a performing art platform in Shanghai, with sound artist Yin Yi. They aim to build a bridge between dance and music, and also between China and the world. Check out here her video! Chinese tea is considered as one of the seven necessaries of Chinese life, along with firewood, rice, oil, salt, soy sauce and vinegar. The Chinese people, in their drinking of tea, place much significance on the act of "savoring." "Savoring tea" is not only a way to discern good tea from mediocre tea, but also how people take delight in their reverie of tea-drinking. Join us for savoring! Cathy Fu has been a staff for Swiss Arts Council Pro Helvetia (c/o Swissnex China) since 2008, working for projects to promote cultural exchanges between Switzerland and China. Playing the flute is one of her hobbies and she would like to share with us a traditional Chinese song and a Western song with the audience.